1. There are many, distinctive publics. There is a tendency in academia, I think, to view the public as a homogenous hyperactive mass that thinks in tweets and memes, and fails to appreciate great literature and understand complex theoretical concepts. But as Brooke Rollins observed in the faculty roundtable, each “public”—whether it’s an online group, a classroom, or a local community—is distinctive, with its own set of shared values. 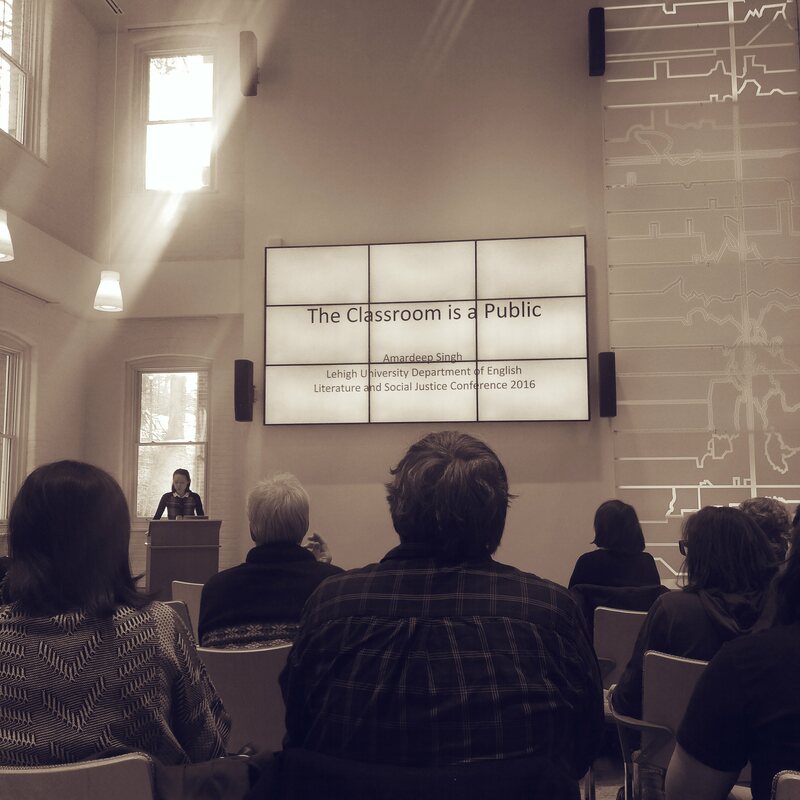 In the keynote, Amardeep Singh explored what it would mean to think of the classroom as a public. He envisioned a space where students would view themselves as citizens instead of consumers seeking the best return on investment, a space where real debate would foster the self-reflexive thinking and questioning of assumptions and beliefs that could lead to social change. Presenters described a diverse array of other public spaces in their talks and papers, from Evan Reibsome’s course designed to bridge the gap between veterans and civilians, to Samantha Sorenson’s analysis of slam poetry performances, to Abby Barlock’s examination of comic books as vehicles for social justice. What I think unites these examples is a belief in the dynamism and multiplicity of the public—that publics are constantly changing and being created. Dana introducing Deep before his keynote. 2. Public humanities work should be collaborative and reciprocal. Many participants discussed conceiving productive public spaces that would bring together academy and community to foster social change. What each person emphasized was that such work should not be top-down; rather, projects should emerge out of the needs and desires of the community. We must also welcome their feedback, which is delivered more quickly—and sometimes more harshly—than any peer review. We should welcome the immediacy and honesty of the public response as an opportunity to become better scholars and humans. While the academic’s role in public humanities work was described in many ways—facilitator, partner, and collaborative knowledge producer, to name a few—there seemed to be a consensus that our main responsibility is to listen well. This skill, honed by years of close reading and literary analysis, is something valuable we can bring to the public. And if we listen well, we may begin to hear the authentic voices of the community—whether they are eighteenth-century Moravians, twentieth-century women working for Bethlehem Steel, or dissociated queer subjects from the 1980s. Our job, and our privilege, is to represent and amplify their voices and experiences. 3. The public is personal. One of the most surprising and powerful moments of the conference for me was when Jenny Hyest stated the public is personal. Jenny spoke about the importance of being an attached scholar who values the human over the information. If we don’t leave the ivory tower, it is easy to become detached from the real lives in the communities around us, as well as in the texts we know and love. When we allow our work to be personal I think we generate energy that enriches ourselves and those around us. While I felt this energy all weekend, it was especially strong at the Lehigh Grad Students and Alums Roundtable. The passion for public humanities work demonstrated by Robert Fillman, Sarah Heidebrink-Bruno, Jenny Hyest, Bob Kilker, and Evan Reibsome is truly inspiring, especially at this time of crisis. As we acknowledge and try to work through the multiple graduate school and academic messes, it is important to recognize the meaningful work that is already being done—and imagine what else we can do. It was such a joy to be a part of the conference, and I hope these vital conversations will continue. 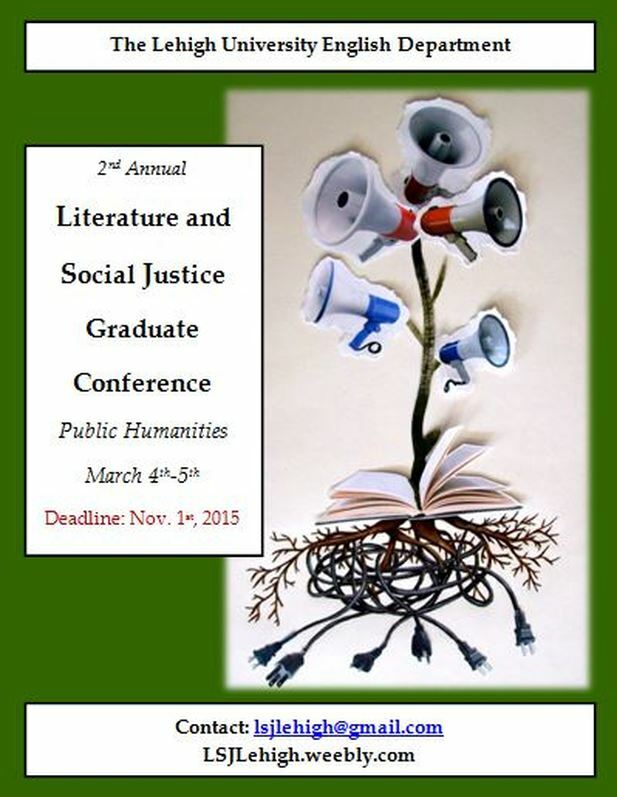 I would love to hear your thoughts about the conference—what papers, discussions, and ideas were the most exciting for you?—and about the public humanities in general.